What a better way to kick-off the start of summer than with a backyard BBQ on Memorial Day weekend. I love grilling in the summer. 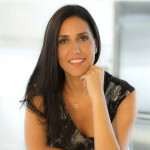 Besides the obvious reasons of being outdoors, in the sun, enjoying the long days and warm nights, grilling is a busy mom’s break from hours in the kitchen. I marinate whatever we are going to eat ahead of time and then when it’s time to grill, I hand it all over to the hubby to grill, while I relax outside with a glass of wine. 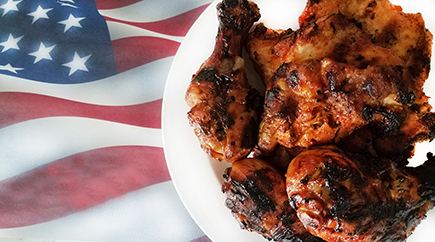 I’m happy to share my go-to grilled chicken recipe that is delicious, healthy and easy to prep! I make extra to have leftovers that I chop and serve over a bed of greens for lunch the next day. My kids like it in a tortilla wrap with lettuce, tomato, and avocado. Marinate the chicken with the herbs, spices, garlic, lemon juice and olive oil. I like to marinate it overnight, but when I’m pressed for time, I marinate it at least for one hour. Grill the chicken on 350 degrees. Cook time is approximately 20 minutes for one-inch chicken thighs/breasts (10 minutes on each side) and 40 minutes for drumsticks (10 minutes on each side). Please note that cook time varies according to the thickness of the chicken. To test if chicken is cooked, cut a slice of chicken and notice the juices that should run clear. If the juices are pink, the chicken is not fully cooked. P.S. 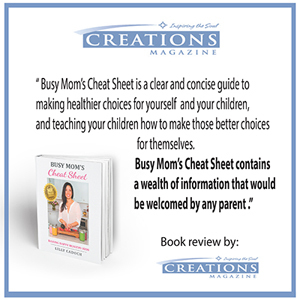 Give yourself or a loved one the gift of “Busy Mom’s Cheat Sheet: Raising Happy Healthy Kids“. Learn the tools to lead and teach your kids to have a healthy happy life, including 45 easy, quick, healthy delicious recipes even the pickiest bellies at home will love!